In a letter sent to the 33 paraprofessionals employed in the Greater Egg Harbor Regional School District dated May 11, 2017, Superintendent John Keenan informed the paraprofessionals that due to declining enrollment and program changes, they would not be offered employment contracts for the 2017-18 school year. 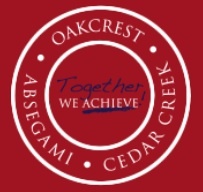 Mr. Keenan further stated that the Board of Education was considering contracted services for district paraprofessionals and should the Board contract with a particular vendor, they would be offered an opportunity to apply for a position with the vendor. Keenan also said in the letter that the district was pursuing various ways to effectuate cost savings and reallocate funding to staffing priorities which might allow the district to offer a new contract to the paraprofessionals. In order to contract the services with a private outside company, the Board must advertise a Request for Proposals from interested vendors and then review the proposals and award the contract. The Board has not yet advertised for any proposals. 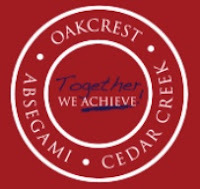 The Greater Egg Harbor Regional Education Association which represents the paraprofessionals in Oakcrest, Absegami and Cedar Creek High Schools has begun a campaign to fight the possible privatization. Myron Plotkin, NJEA Representative, pointed out that while other districts have considered privatizing their paraprofessionals, most have changed their minds after hearing the concerns of the parents as well as hearing the horror stories associated with employees being sent by the company as well as the companies themselves. Plotkin said that recently, a CEO of a company providing paraprofessionals to a district in NJ, publicly acknowledged the company’s “complete failure” to provide the services it had promised. In another district, an aide being provided by a private company told a student who had been kicked by another student not only to kick the student back but also actually kicked the student herself and then bragged about it on social media. “There are many more horror stories. These are just two examples of what happens in a district that decides to bring strangers into their district to replace dedicated and loyal local staff members in order to save a few bucks.” Plotkin said. The Association truly hopes that the administration and the Board consider the welfare and best interest of the students when making a decision on this matter. Subcontracting is never in the best interest of the district or students”. Tarr said that the Association is in contact with parents of students who will be affected should the privatization occur and is asking them to contact the Board and let them know that they do not want strangers in their schools working or pretending to work with their children. Paraprofessionals are the instructional aides that work with students and assist teachers in the classroom. Some work with a class while some work one on one. They are essential in the delivery of a comprehensive educational program. They are loyal and dedicated employees that live in the community and care about the kids. Textbooks, classroom environment, digital technology, extra-curricular activities, and many other factors all contribute to a quality education. But ultimately, it is the caring and nurturing faculty and staff with whom students interact that make the most impact. Time and time again, schools in New Jersey have tried to save money by privatizing paraprofessionals, often with disastrous results. Hopefully, Greater Egg Harbor Regional will not make this same mistake. That the administration and school board cannot resolve the budget issues without taking this action speaks more to the incompetence of the superintendent than to other any factor. A paraprofessional staff directly employed by the district, generally drawn from the community itself, and not only familiar the community but, more importantly, with the students they serve is the best approach to providing for the needs of the students with the consistency they require. Let's hope the community rallies behind these dedicated paraprofessionals and makes it clear that privatization is unacceptable. Interesting that Keenan states declining enrollment and program changes for not offering contracts to paraprofessionals. If enrollment is declining why isn't the board terminating administrator positions?